Waymo could offer alternative to Honda’s own self-driving program. A Chrysler Pacifica Hybrid, modified for Waymo, shown driving autonomously. Could a Honda Odyssey be next? 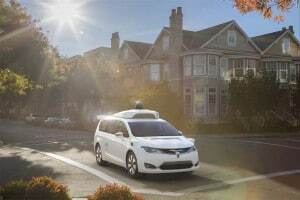 Taking the lead from Fiat Chrysler Automobiles, Honda has announced it is talking with Waymo about using the newly renamed Google autonomous vehicle spinoff’s technology in some of its vehicles. The move comes as something of a surprise as Honda has already been working on its own autonomous vehicle technology, with a production target of 2020. It suggests the third-largest Japanese automaker might be worried about falling behind rivals such as Toyota, Nissan, General Motors and Volkswagen, all of which are racing to get their own self-driving vehicles on the road as soon as possible. “In addition to (Honda’s own) ongoing efforts, this technical collaboration with Waymo could allow Honda R&D to explore a different technological approach to bring fully self-driving technology to market,” the automaker said in a statement. For the moment, Honda said it has only gone into preliminary discussions with Waymo, which now functions as a standalone subsidiary of Google’s parent, Alphabet Inc. If the talks move forward, Honda would follow FCA which this week delivered 100 prototype Chrysler Pacifica Hybrids to Google. Those vehicles will now be modified with an array of laser, radar and camera sensors, as well as Waymo’s computer and software. The autonomous vehicle firm plans to start using those minivans as part of an expanding test program to gain more experience in challenging weather and road conditions, such as those experienced in a Michigan winter. Could Waymo rig up a Honda Pilot for autonomous use? Honda's talking with them to find out. Until now, Waymo had been running a fleet of 30 bubble-shaped “Koala” cars developed specifically for the company by Detroit-based engineering firm Rousch, as well as a handful of modified Lexus SUVs. As with FCA, Honda said the talks could lead to the Japanese maker providing vehicles to Waymo for its own autonomous vehicle test program. But, longer-term, Waymo could provide both hardware and software for use by Honda in its own vehicles. Waymo is considered one of, if not the leader in autonomous vehicle research, but the field is rapidly heating up, driven in part by the support of regulators in the U.S., Europe, Japan and other parts of the world. Mark Rosekind, the administrator of the National Highway Traffic Safety Administration, said earlier this year that autonomous vehicles could virtually eliminate highway deaths in the U.S.
For his part, Waymo CEO John Krafcik, the former chief executive of Hyundai Motor America, said last week that the technology is at “an inflection point,” coming close to moving from the subject of science fiction to an everyday reality. 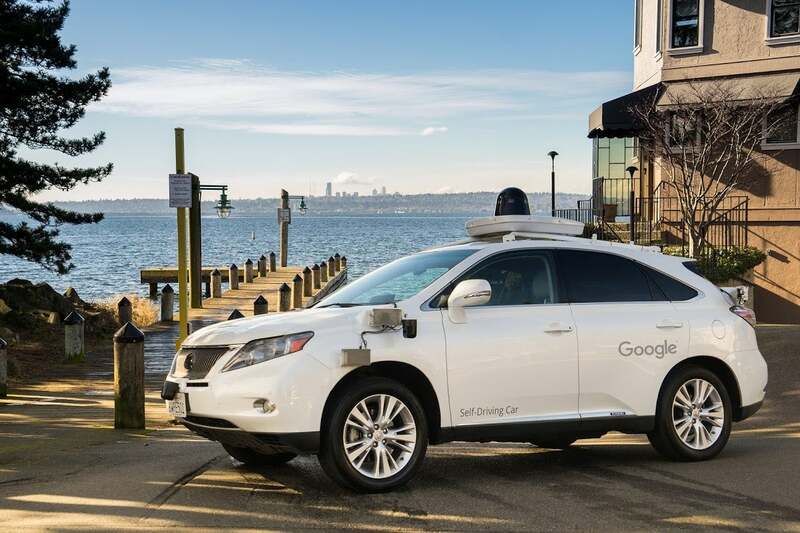 Studies by IHS Automotive, the Boston Consulting Group and others predict there could be tens of millions of self-driving vehicles on the road by the end of the next decade. But there are also numerous challenges yet to overcome, as demonstrated by problems with current semi-autonomous and prototype fully autonomous vehicles. That includes at least one death linked to Tesla’s partially hands-free Autopilot system, as well as nearly 20 crashes involving Google prototypes. Meanwhile, ride-sharing service Uber has run into a variety of problems since launching a pilot autonomous vehicle program in San Francisco last week. The company’s 11 modified Volvo XC90s have been spotted running red lights, failing to stop for pedestrians and turning into bicycle lanes. The state of California has issued a cease-and-desist order to shut the project down since Uber failed to apply for the necessary state permit. But few expect those problems to create serious, insurmountable obstacles. And the talks between Honda and Waymo show that the auto industry is ready to bet heavily on the transition to autonomous driving.